Originally known as Macy&apos;s Christmas Parade, this event was started by Macy&apos;s employees and featured animals from the Central Park Zoo. Employees and professional entertainers dressed in vibrant costumes to march from 145th Street in Harlem to Macy&apos;s flagship store on 34th Street. 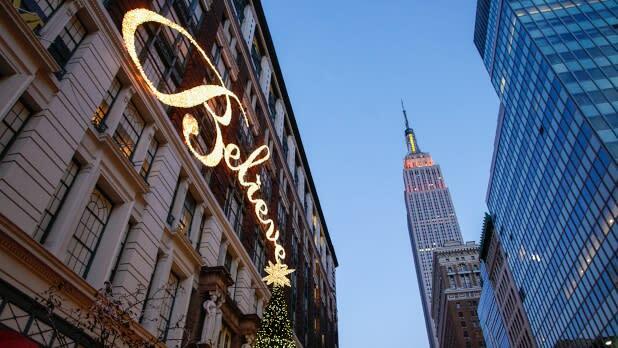 That very first parade was such a success that Macy&apos;s declared it an annual event. More than 250,000 people attended the inaugural parade! In 1927, the parade&apos;s signature giant balloons made their debut. The first-ever balloon in the Macy&apos;s Parade was Felix the Cat. The next year, Felix was filled with helium and simply released into the sky at the end of the parade. Don&apos;t worry, this practice of releasing balloons skyward stopped in 1932. Since Felix, parade balloons have featured more than 100 of the world&apos;s most beloved animated characters. The parade continued to thrive through the 1930s, with crowds of more than 1 million people gathered in the city. Mickey Mouse made his parade debut in 1934. During World War II, the Macy&apos;s Thanksgiving Day Parade was suspended, due to demand for rubber and helium. Balloons were deflated and donated to the government, providing 60 pounds of scrap rubber to aid the war effort. In 1945, the parade resumed and two years later, the film Miracle on 34th Street, featuring footage from the 1946 parade, made the Macy&apos;s Parade a household name. 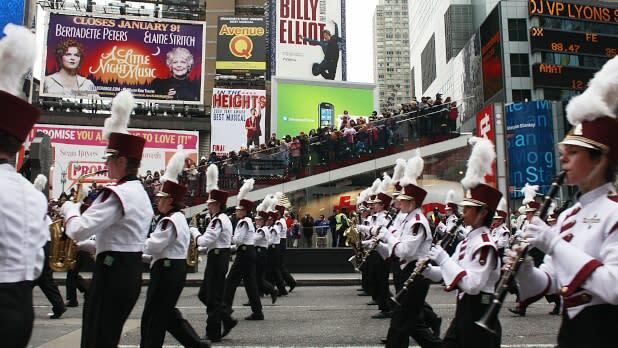 The following year, the parade was broadcast on national television for the very first time. 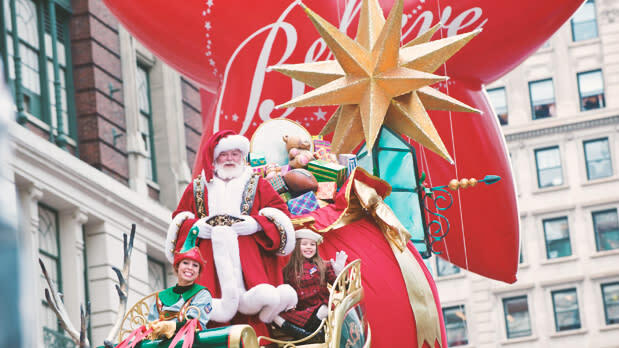 Macy&apos;s creative team began building parade floats in 1968. To this day, parade floats continue to be designed exclusively by Macy&apos;s employees. Floats stand up to 40&apos; tall and 28&apos; wide, but each float can fold into a 12&apos; by 8&apos; box for easier transportation to the parade route. Of all the famed balloons in the Macy&apos;s Parade, it&apos;s Snoopy who holds the record for the most balloons in parade history. 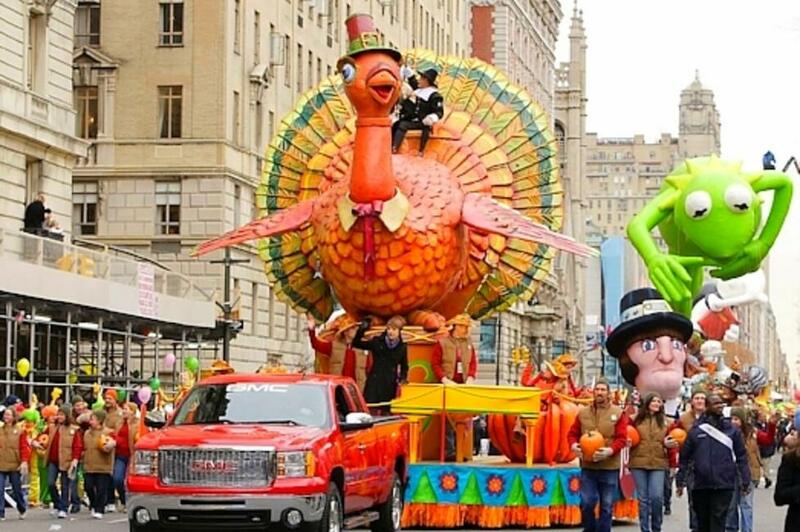 Head into NYC or turn on your television to see this year’s Thanksgiving Day Parade!